… that is our bullseye. First and foremost we build trade show exhibits. While they fall into two categories, custom rental exhibits and custom purchase fabrications the differentiation comes with ownership, payment, liabilities, and budgets. Really it is the financial picture. An exhibit display is not complete without the bells and whistles. When you’re building an exhibit display you are building a three dimensional version of your company character, it portrays the strength and wisdom of your company culture. Your exhibit display should be the complete picture of who you are. Thus we offer in-house, company owned addons, many already seen in your design packet and included in your pricing. Other addons can be inserted into a current design packet. We tell a story in three dimensions. We take incredible ideas and bring them alive. As designers, engineers and manufacturers and with today’s technologies we can fabricate virtually any idea. We build interactive exhibitions for museums, traveling displays for on-the-road marketing and education, and corporate installations to change your office to an ever-evolving branded exhibit display. Our wide-ranging menu of services has developed over the past two decades to include not only basic exhibitor services, but some rather unique offerings. Shop at the office, shop from home on the weekends, shop from the show floor at our online store, Displays and Exhibits. This is an exceptional resource, for the budget-minded client, for basic Trade Show accessories that can move to you quickly. 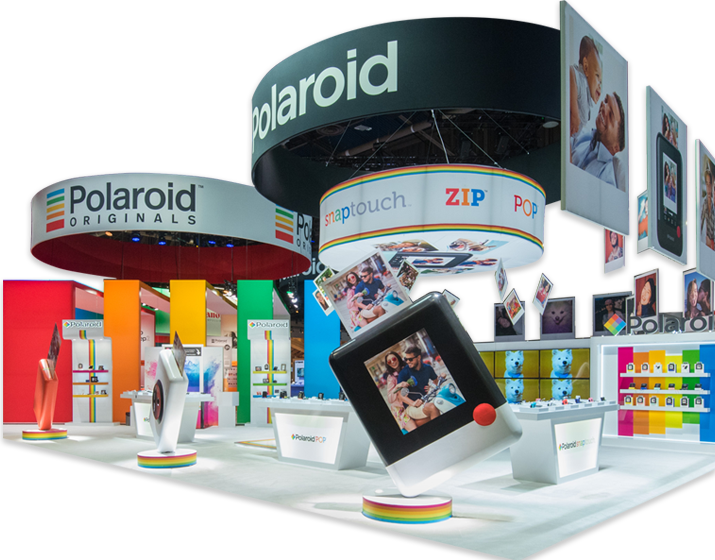 Supervising your trade show exhibit properties is a time-consuming process. It includes making certain that the right booth properties arrive on time and show ready. Good exhibit management requires extensive attention to detail and balancing multiple deadlines and stakeholders. This all comes after a schedule has been set, numerous planning meetings have occurred, and individual needs for each trade show, meeting, or conference have been established. Larger companies may have 200-300 dates a year many happening at the same time.